The end of the regular season is finally here. The Washington Wizards came into their season finale against the Atlanta Hawks with nothing to play for besides pride and a .500 record to end the year. Randy Wittman, reported to be relieved of his duties soon, believes the team (of those that will be available) is ready to play. The reserves that did play certainly played hard and seemed to play with more energy and hustle than an Atlanta team that had something to play for. Ramon Sessions led the way with 22 points as Washington headed into the offseason on a slight positive note. 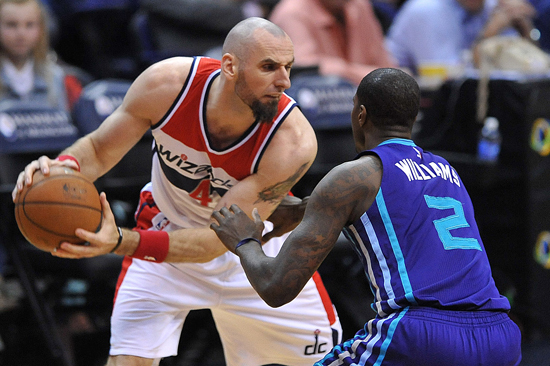 The Wizards finished the season 41-41 after a 109-98 victory over the Hawks. After a game of zero defense in Brooklyn, that trend looked to continue for Washington as they were able to score at will without getting stops on the other end. With the majority of Wizards starters sitting, all except Otto Porter, Nene took advantage of starting with eight first quarter points on four of five shooting. Tim Hardaway continued to be a thorn in Washington’s side by making his first three shots, all of which were from beyond the arc. At the end of the final first quarter of the season, things were tied at 33 as the Verizon Center faithful were deprived of one last Egg McMuffin. 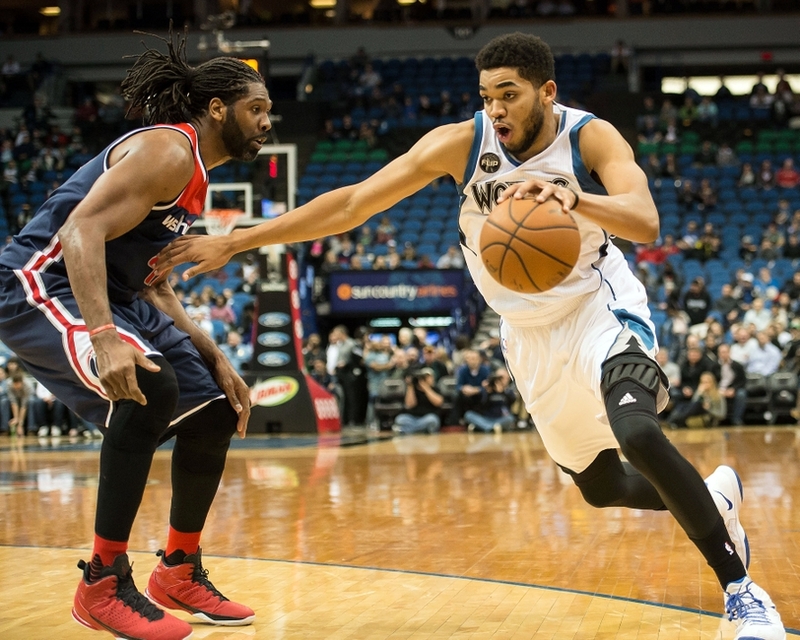 The Washington Wizards are probably more unpredictable than a roller coaster or the stock market. Fresh off a five-game losing streak and with an early offseason in sight, Washington had their best offensive performance of the game against the Detroit Pistons. They had another opportunity to secure a tiebreak over a playoff contender when hosting the Chicago Bulls. For the third time this season, and sixth in his career, John Wall recorded a triple-double as he schooled the visitors when in the game with a team-best +38. Washington won their eighth home game of the last nine opportunities in convincing fashion 117-96. An efficient offensive showing carried over from Monday night even after Marcin Gortat (lower back) was unable to start. Nene, inserted into the starting lineup as a result, was in the middle of Washington’s ball movement with several hockey assists. 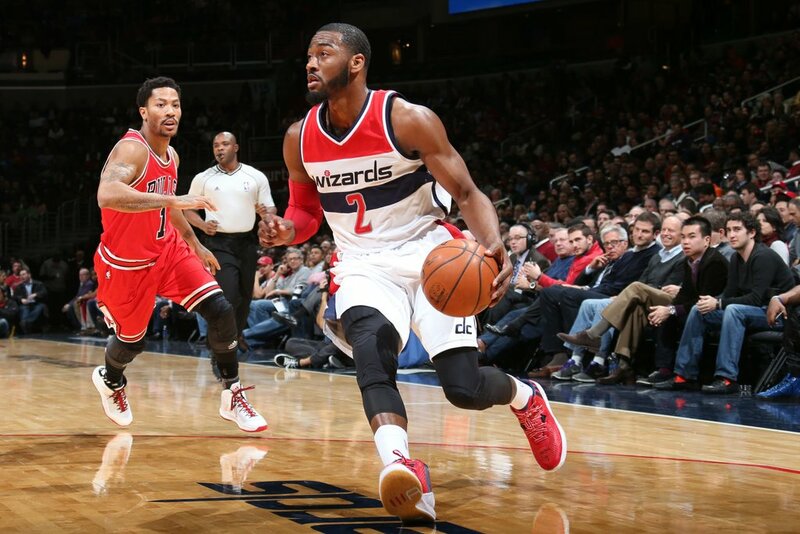 On 6 of 11 shooting, while holding the Bulls to just 2 of 7 to start, the Wizards took a 16-6 lead. After Chicago cut the Washington lead to three with a 7-0 run, the home team responded right back with a 10-0 run of their own. The Bulls made their last four shots of the quarter and cut the Wizards game-high lead of 14 in half, but the DC franchise still held a 32-25 advantage after twelve minutes of play. The Washington Wizards were beaten by double-digits at home against the Golden State Warriors on Wednesday, but there was some positives to take away. 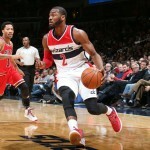 Then interim head coach Don Newman told the players after the loss that they will be successful if they play “like this and put it on the floor.” John Wall agreed by saying Washington would win 10 out of 10 games, since they won’t play the Warriors again, if they play with the energy they did. 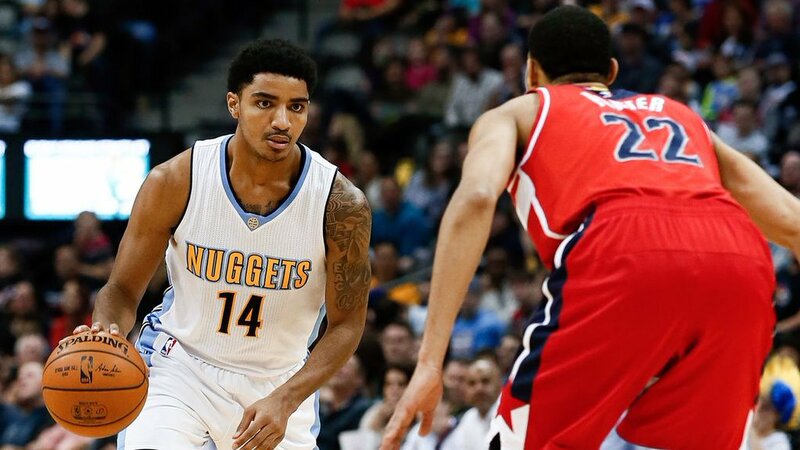 For the first time Dec. 9, Bradley Beal returned to the Wizards starting lineup. Washington got off to a great start in the first quarter to take a commanding 20-point lead behind their best offensive performance to start a game. From there they hardly looked back, although they allowed Philadelphia to get back within single digits during a turnover filled stretch. 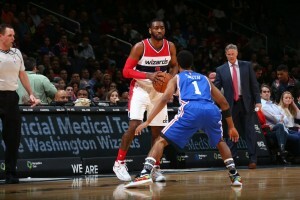 Behind John Wall’s fourth career triple-double performance including a career high 13 rebounds, the Wizards cruised to a 106-94 victory. More than halfway through the season the Washington Wizards are an anomaly in the league with their rather unwatchable performances at home. 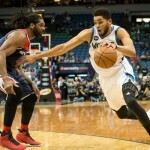 After getting swept in the regular season matchup with the Boston Celtics, they had to jump on a red eye to Toronto, clear customs, and get ready to play the second leg of a back-to-back. All of this without Bradley Beal who suffered a broken nose and will begin the concussion protocol after an incidental forearm to the face from Marcus Smart. With Nene starting for the third straight game alongside Marcin Gortat, it was clear that the Wizards spacing was far from ideal. This contributed to John Wall committing a game-high five turnovers and Washington having poor offensive performances in the first and third quarters. 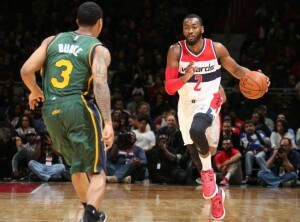 After coming back from 14 points down in the first half, the Wizards were non-existent offensively (literally) in the fourth quarter resulting in their second straight blowout loss. Injuries have a lot to do with their struggles this season, but there may be serious management and coaching changes even before the season ends if things do not pick up soon. 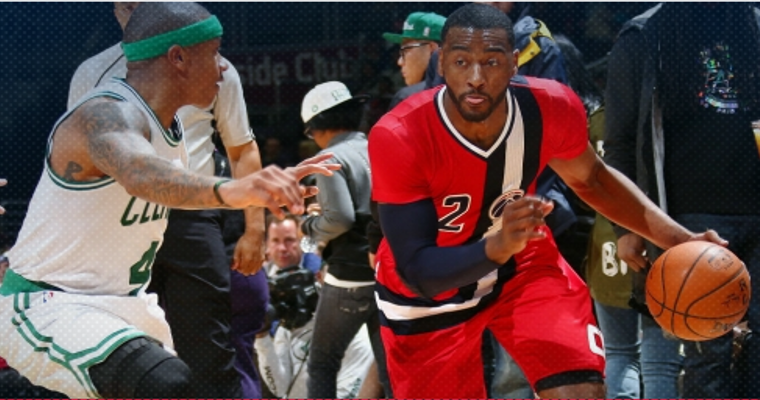 Washington got blown out for the second straight night; this time 106-89 to the streaking Raptors.